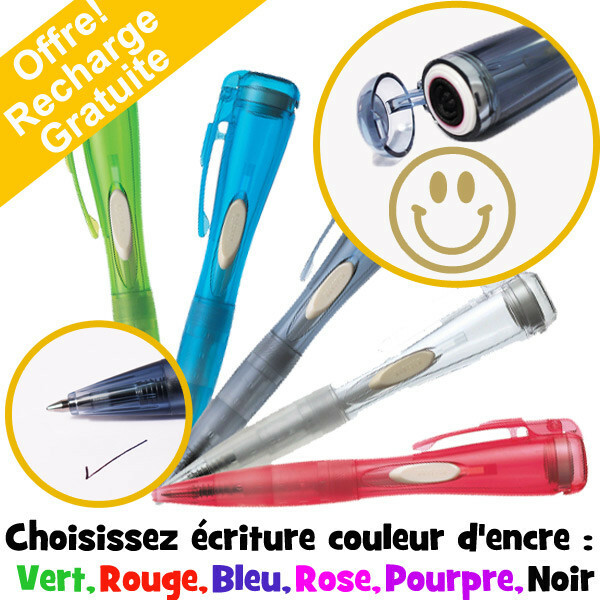 Stamp Pen | Smiley Face, Gold Ink Clix Pen. Choice Writing Ink. Free delivery. FREE writing ink refill per Clix pen! Smiley faces add a smile to the page and to your student's face! This happy smile prints in gold ink which makes this teacher stamp even more extra special. Great as a reward stamp and with this handy pen you'll always have it on hand when marking. 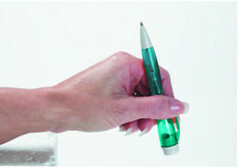 Dual purpose, the Clix Pen functions as a retractable pen and a stamp all in one - saving you time and money. It also features a pocket clip so you can keep it at hand, fade resistant writing ink and is suitable for stamping onto most surfaces.